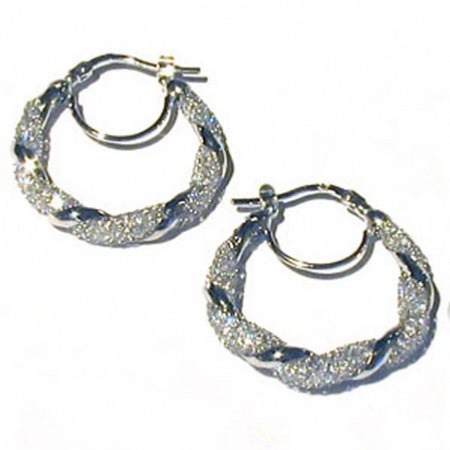 Sterling silver crystal mesh earrings. 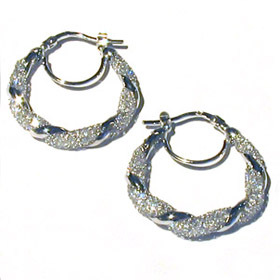 These wonderful hoop earrings are graceful and elegant with fabulous sparkle from the interwoven crystal mesh. 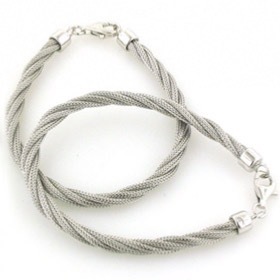 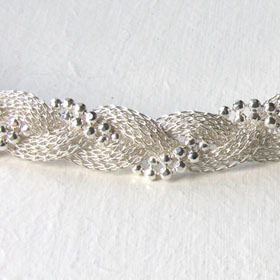 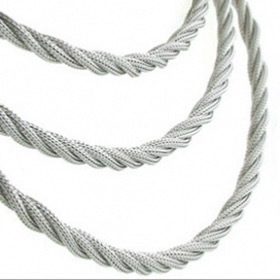 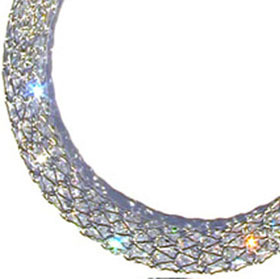 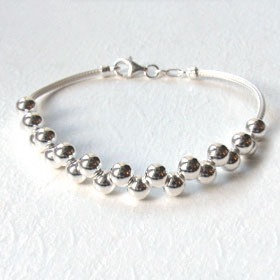 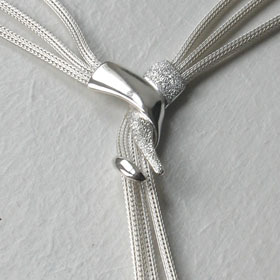 Crystal mesh is a sterling silver mesh with crystals woven into it. 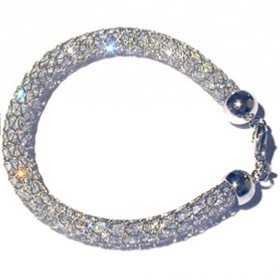 The crystals shine and sparkle with the colours of the rainbow as the light catches them. 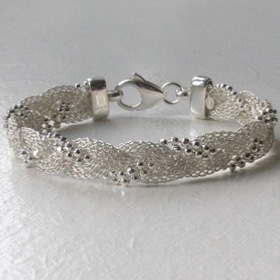 The crystal mesh is intertwined with smooth sterling silver, each setting off the other beautifully. 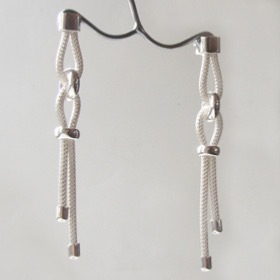 They fasten in your ear with a safety catch at the back of your ear. 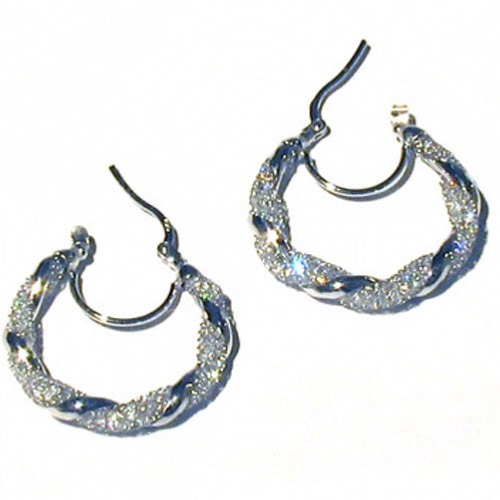 These earrings match our crystal mesh necklaces and crystal mesh bracelets - see below.